Ships tomorrow if you order in the next 17 hours 45 minutes. Lysine is an essential amino acid - a building block of protein - that the body needs for good health. Since the body can't produce it, you must obtain lysine through food or supplements. Among its many jobs, it promotes skin health through increased elastin and collagen formation. Monolaurin is a substance derived from lauric acid, a good fat found in coconut oil. It is has skin care benefits related to its moisturizing abilities. 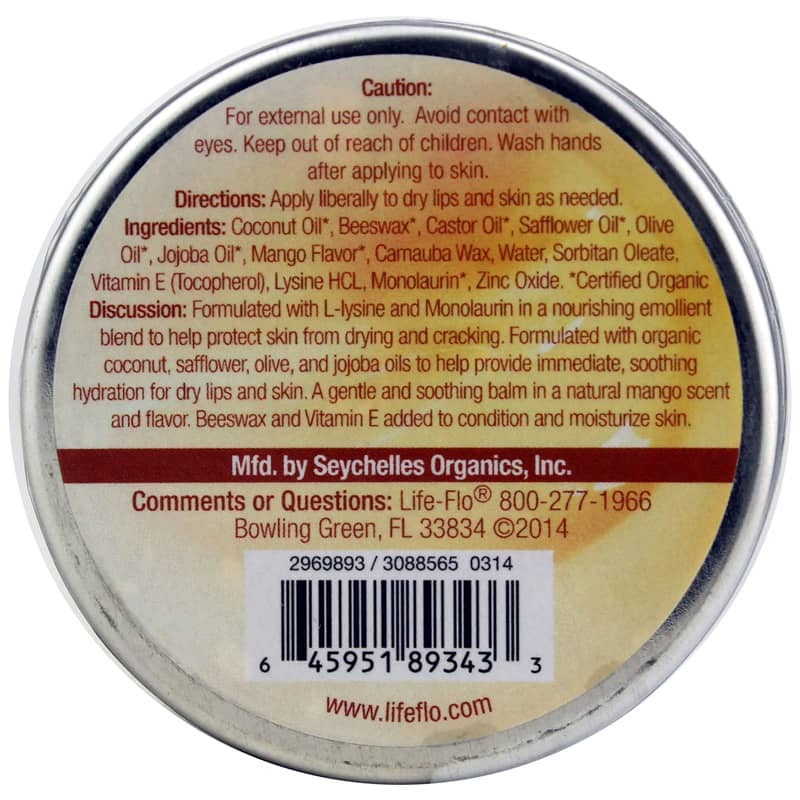 Life-flo offers a natural skin and lip balm called Lysine Balm with Monolaurin that helps protect skin from drying and cracking. Apply this natural balm liberally to dry lips and skin as needed. 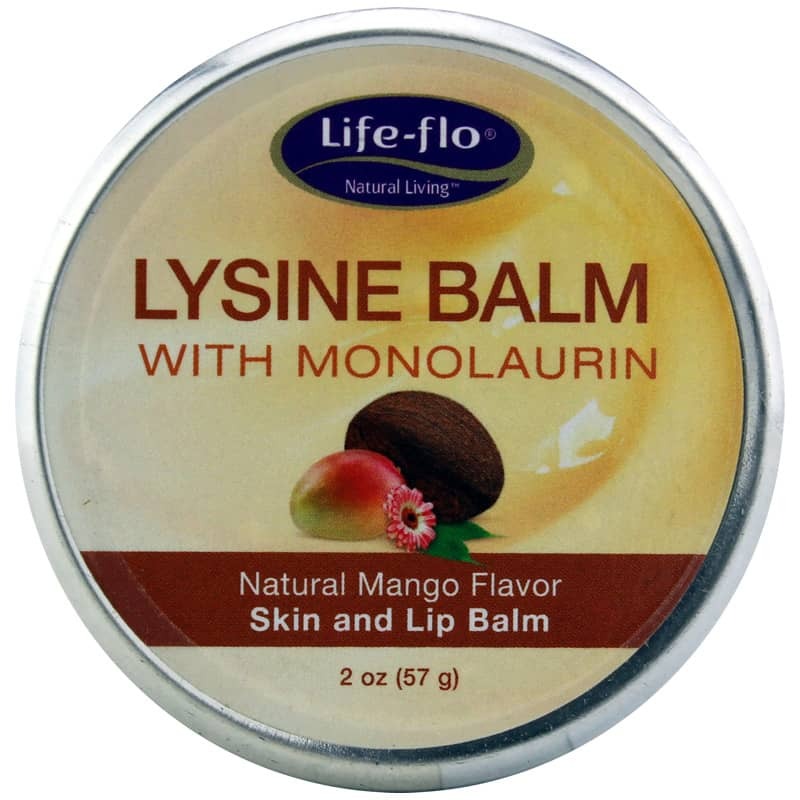 If you're looking for a natural skin and lip balm that helps protect skin from drying and cracking, check into Life-flo's Lysine Balm with Monolaurin. Order online today! Apply liberally to dry lips and skin as needed. The Lysine lip balm is the first thing I have ever tried that has made a noticeable difference. I couldn't believe it! Not only does it smell/taste great but it also is the only thing that seems to keep them hydrated feeling and feeling smooth. It also lasts a lot longer than regular chapstick. I will definitely be being buying this product again! !